Mounts directly to a rotary table, Fixture Pro® Riser or any QLS Grid. Reduces distortion of parts like standard vises. Requires very little material (0.060” or less) to clamp. 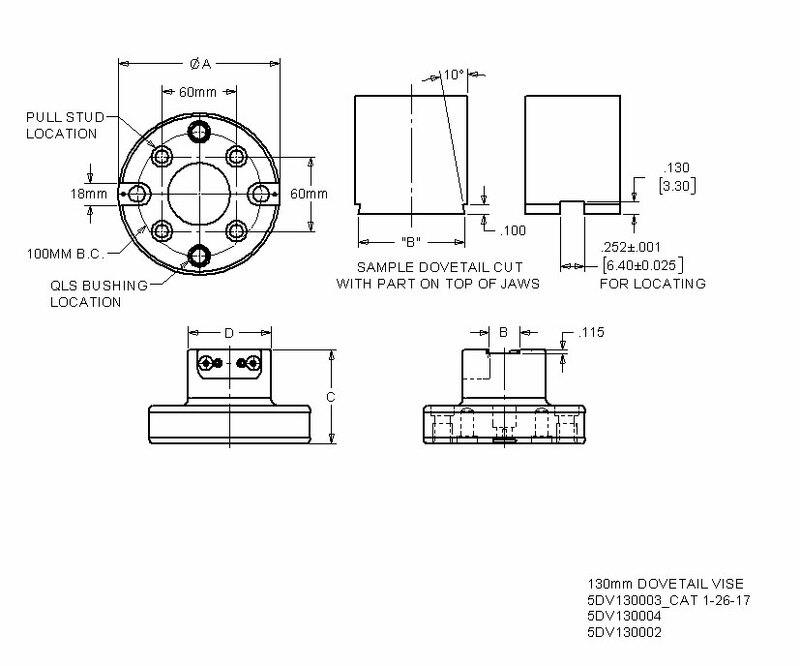 By cutting a 10º angle cut in the bottom surface of a machinable part it allows extremely high clamping forces holding your part with all 5 sides assessable. The Heavy Duty 130mm version has higher torque and tilting moments that the standard 130 mm Fixture Pro® Dovetail Vise.